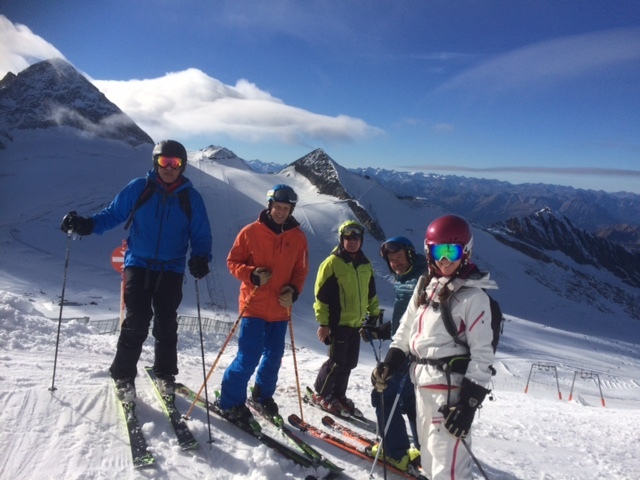 Pre-season Ski Courses in November with BASI Level 4 Ski Instructor, Mark Gear. There’s still some spaces available on Pre-season Performance Ski Courses this Autumn in Hintertux and Tignes. The Hintertux glacier in Austria, and the Tignes glacier in France, are perfect for Autumn skiing and are among Europe’s largest prepaired glacier ski areas. National ski teams, race clubs, instructors, and anyone serious about getting some early pratice in, are often skiing there through the Autumn. Join us on a pre-season performance ski course this November. What better way to start the season? These Pre-season Performance Ski Courses offer a fantastic opportunity for high-intermediate to expert level skiers to receive professional ski coaching, fine tune their skills, and combine fun in the snow with technical preparation. There’s a maximum of 6 skiers in a group, so there’s plenty of personalised help.